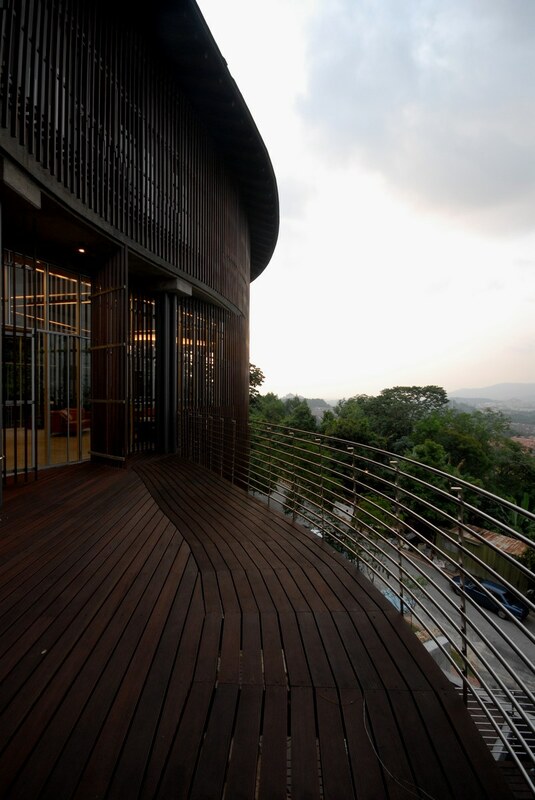 Perched on a hill in a gated and guarded community called Country Heights Damansara in Kuala Lumpur, the Ting Residence looks like giant mushrooms that have sprouted on one of the steepest lots there. 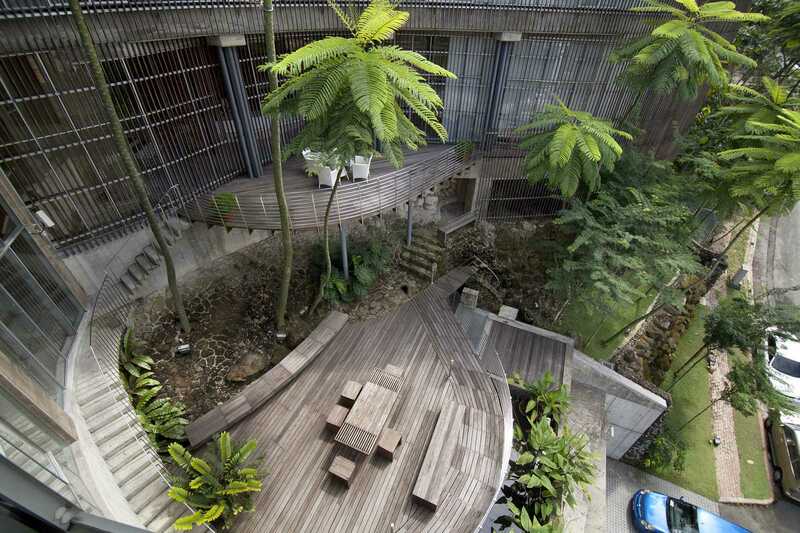 The owner, Ting Choong Sing, had bought a piece of land which was topographically a challenge to work with. 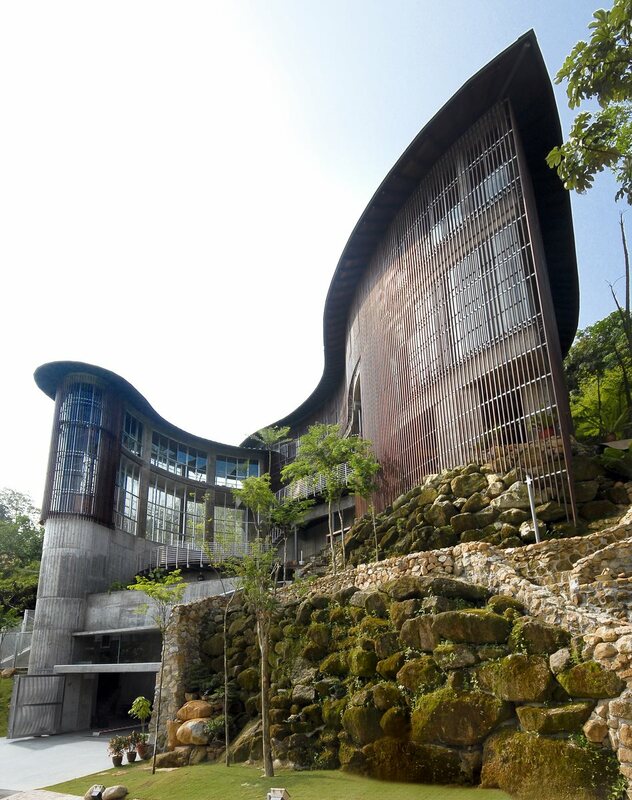 The brief to the architect was to maximize the elevated hillslope site, and to take advantage of its commanding views of the surrounding greenery and neighbouring areas. To mitigate the 11-metre difference in height between the road to the first buildable level, the garage is intentionally located at street level, and access to the various levels of the house is either via a glass lift or a flight of cavern-like stairs. 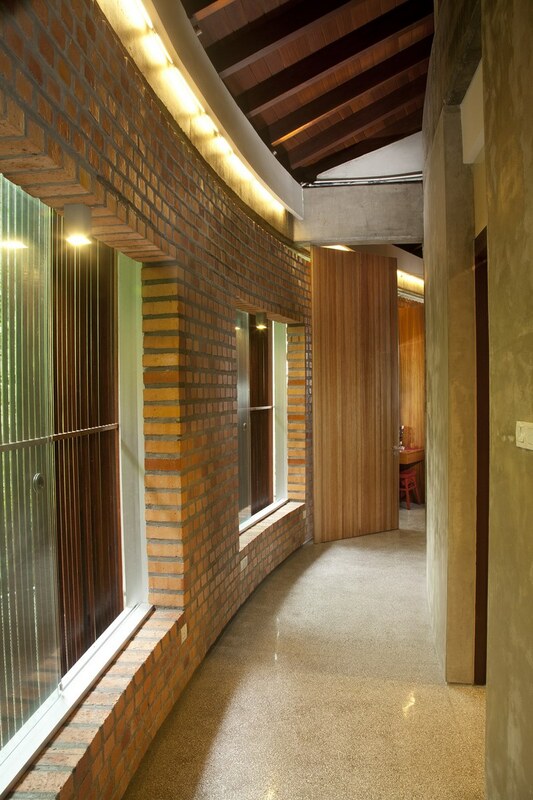 This organic contour-hugging house is built in off-form reinforced concrete walls and frames, coupled with in-filled fair-faced brick walls. 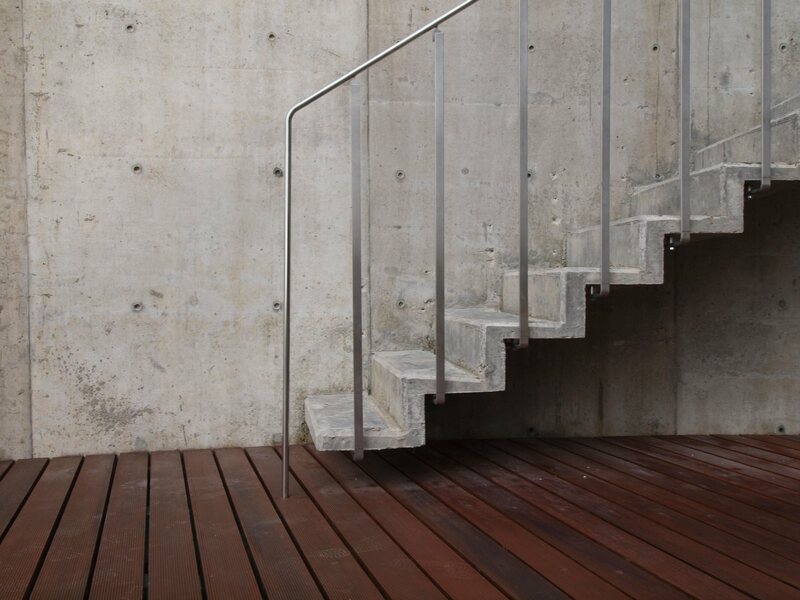 The floors and stairs are of in situ terrazzo while balustrades and handrails are of stainless steel. What makes it so striking is the use of Chengal for the timber strips cladding its curvaceous exterior, tempering an otherwise cold cement-based built form. 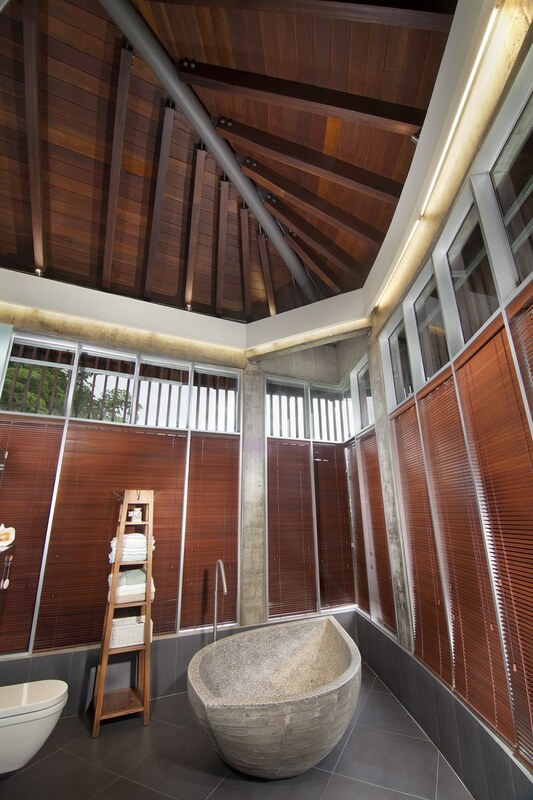 Internally, Meranti is used for the doors and Yellow Balau for the ceiling. The roofs are made of zinc titanium in an interlocking fashion to achieve the complex curves as well as to ensure they remain leak-proof. The curved armature comprises a gym on the top floor of the slimmer round-angled wing, while the bulkier wing houses all the living spaces, kitchens and bedrooms. 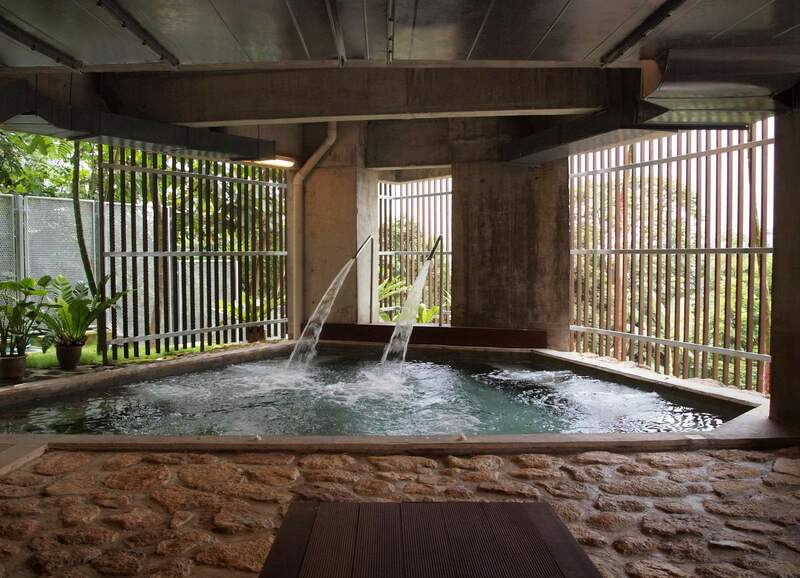 Most of the double-volumed living space is glazed, with some parts covered in vertical chengal strips to filter out sunrays without concealing the refreshing greenery and landscaped gardens. The chengal strips also provide a lovely shadow display on sunny days. 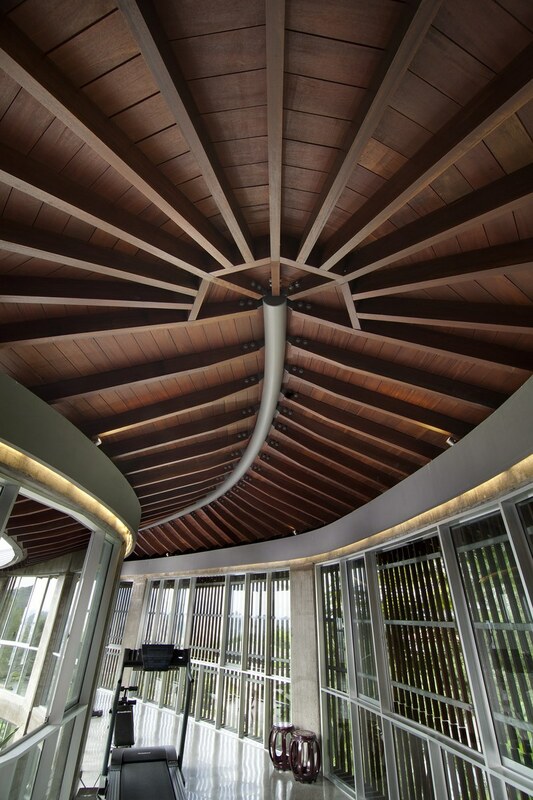 The main ceiling features two overlapping leaf-like roofs of curved tubular mild steel spines from which the timber rafters radiate, forming a pattern that mimics leaf veins. The curved form also protects a series of landscaped timber decks cascading from the living room to the pool, atop the garage. 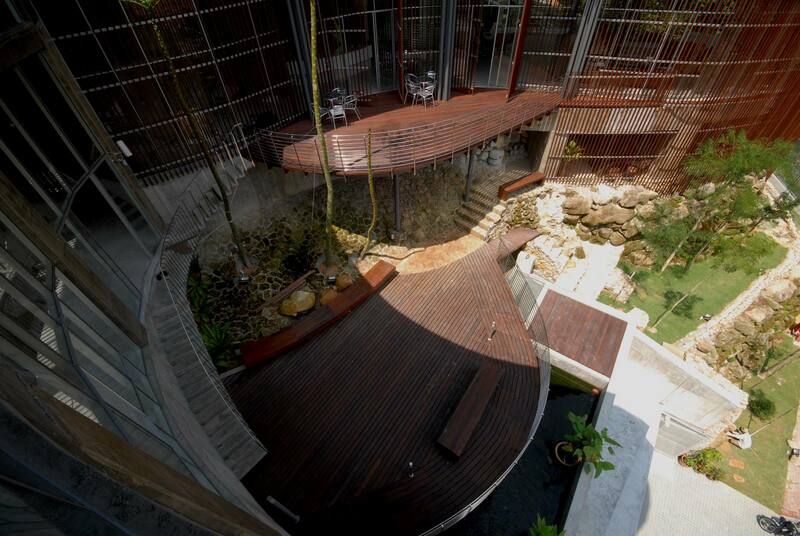 The decking is also of highly durable Chengal. Boulders and rocks excavated from the site during construction were reused as the base of the house, which further reinforces the organic fit of the house into the site. 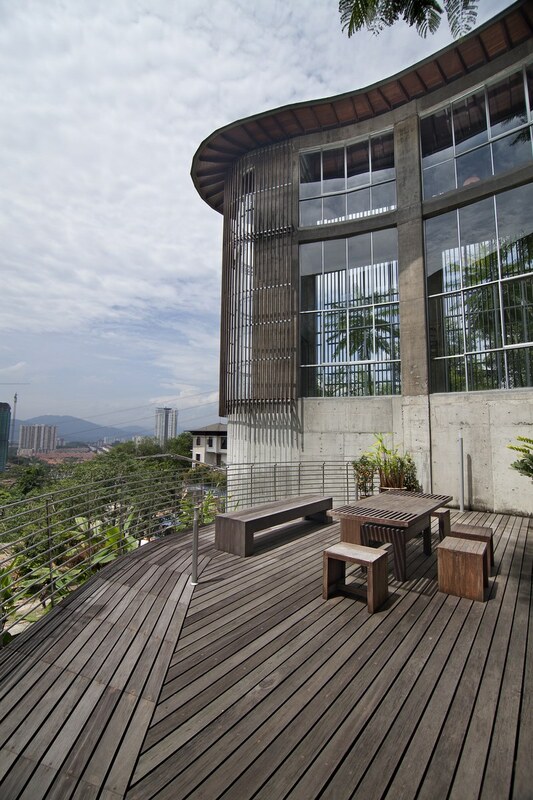 The Ting Residence received the Gold Award for the detached/semi-detached category of Malaysia’s The Edge/My Dream Home Award in 2011.